Children and youth are the future. It is critical that we empower youth with the tools they need to build a healthy and sustainable future. For this reason the Karen and Fred Green Fund of the Vancouver Foundation is tripling the fundraising efforts of Canadian youth until the end of 2016. This means that every $1 raised by Canadian youth will be matched with $3 until the end of 2016. We need teachers and youth leaders to mobilize teams of youth who are motivated to make a difference and take action on making education accessible in East Africa. To read more about how you can get involved please visit our Triple Hope Campaign Page. Please help our East African students continue to study, develop confidence and have a chance at a better future for their families and communities. 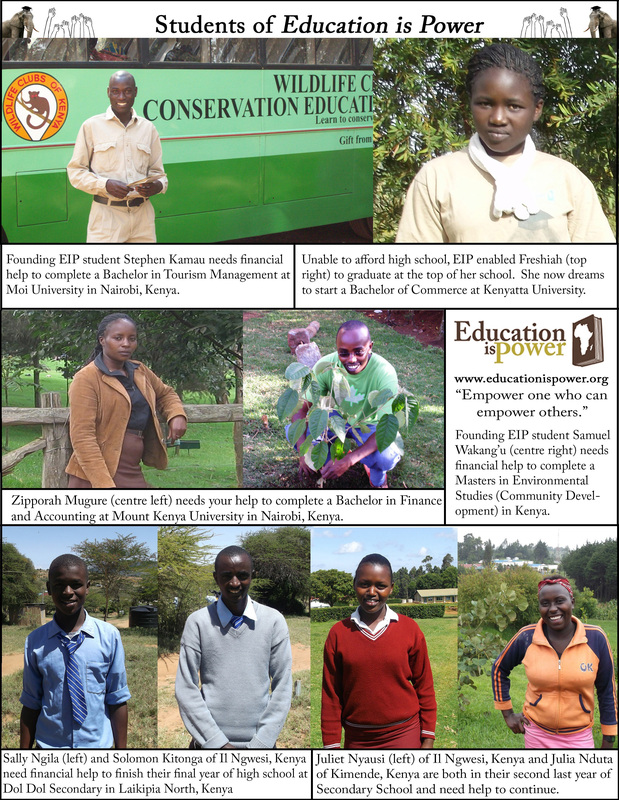 Education is Power, a registered Canadian charity, is a volunteer run organization based in Kenya, Tanzania and Canada. Our mandate is to improve access to effective education for Africa’s future leaders.